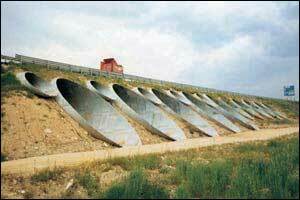 For more than a century this type of culvert has been largely used either in road construction to cross streams, torrents or rivers, or to replace, very efficaciously, concrete box culverts and small bridges. 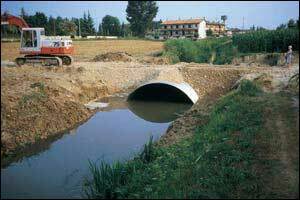 From the simple and small drainage pipes for little waterways up to the big low arch culvert for river crossings. From the small underpass for animal crossings to the large arch culvert for cars and trains passing. By comparing a corrugated steel culvert with a concrete pipe, are immediately evident two high importance factors: material, transport and installation cost and rapid execution. There are four available shapes: circular, elliptical, pipe-arch and underpass. They range from a diameter of 0.60 m to 13.00 m span. 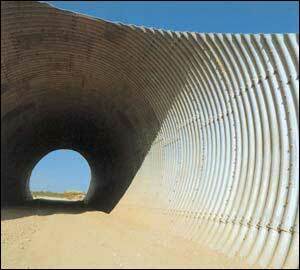 Corrugates Steel Culverts are available in different thickness which allows their utilization when the heights-of-fill are very important and there is a very heavy traffic. Calculations, budgets, drawings and documentation are at the customers disposal.